Another highlight of Fall for me is the chance to re-visit my overflowing shelf of warm, fuzzy, knit sweaters. There's something about wearing a sweater that comforts me. Perhaps it's because I can more easily envision myself sitting by a roasting fire in a big comfy chair reading a good book. That sounds amazing right now! On a brisk Saturday morning a couple weekends ago, we decided to take a walk through a Chicago neighborhood after brunch. 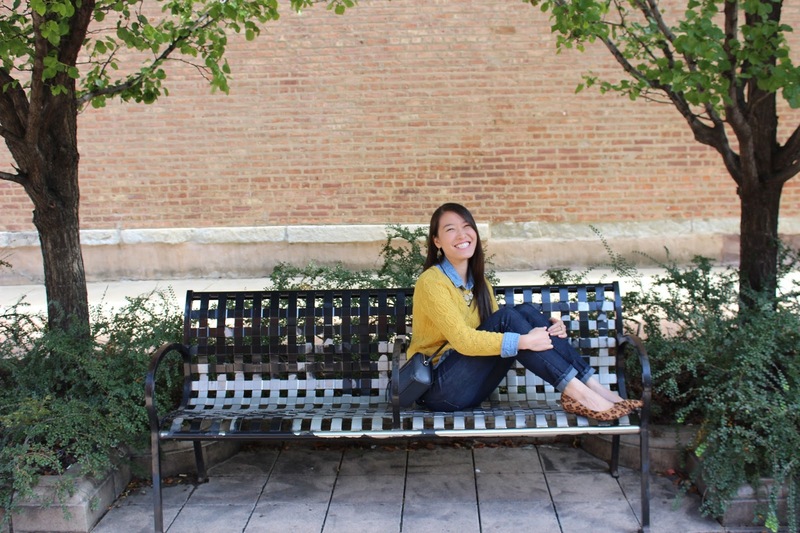 It was the perfect sweater weather, so I decided to throw on my favorite Anthropologie sweater and paired it with denim, leopard flats (Chinese Laundry) and a Kate Spade bag. P.S. 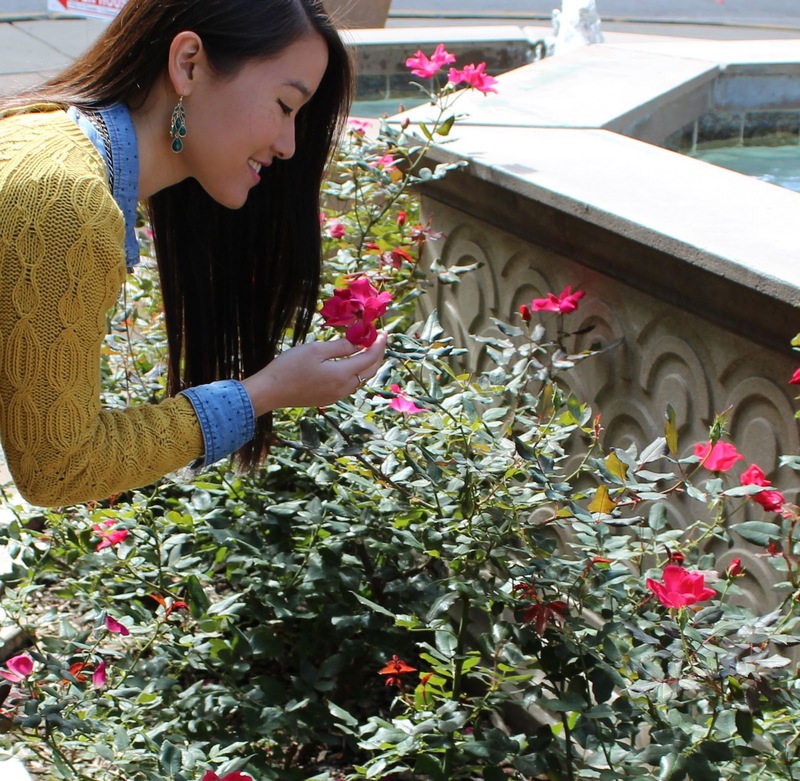 Don't forget to enter our $300 KATE SPADE GIVEAWAY!! It ends 10/31 and you can enter daily for extra entries!! You are so cute! I love your sweater, those amazing green earrings, and those flats are adorable! Gorgeous look! Perfect layering right here! I love the sweater and leopard flats! My kind of style for fall! I love the colour combination you have here. The yellow and blue are superb together. Lovely photos. By far my favorite color combo! (Go Blue!) Thanks!! Sweaters are my favorite! 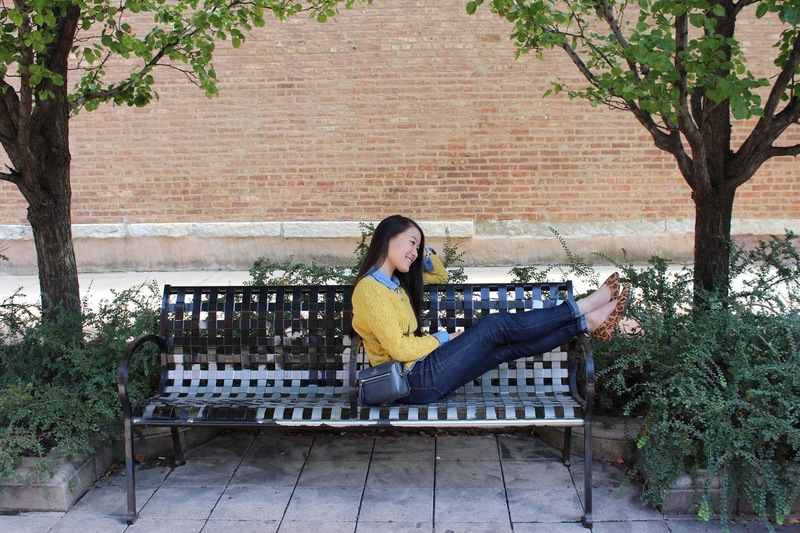 Love the color of yours, and your flats, of course! So glad someone else is happy for sweater weather! Thanks for stopping by! Love the sweater. Need to get myself a yellow or mustard cardi of this colour soon! Yes! 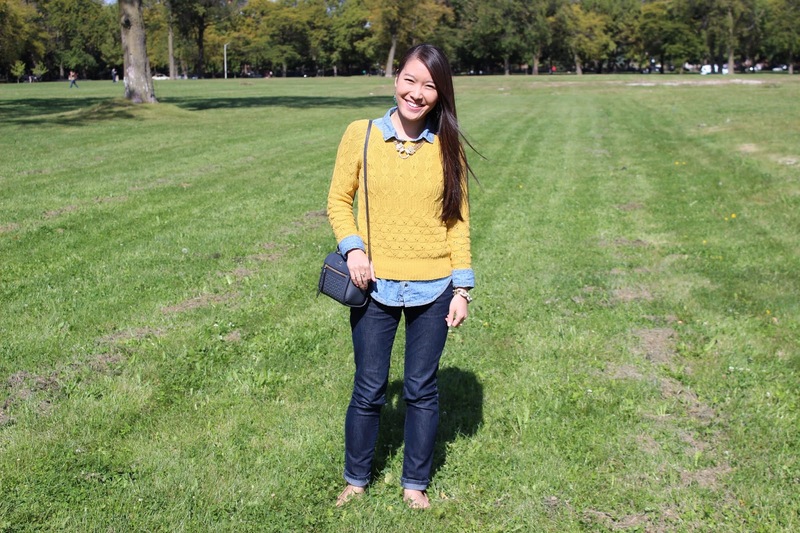 I'm loving mustard yellow this season! Check out some of the items I handpicked under "Shop my look"! Hopefully the yellow cardi isn't sold out yet! Great pic! Your outfit is adorable. 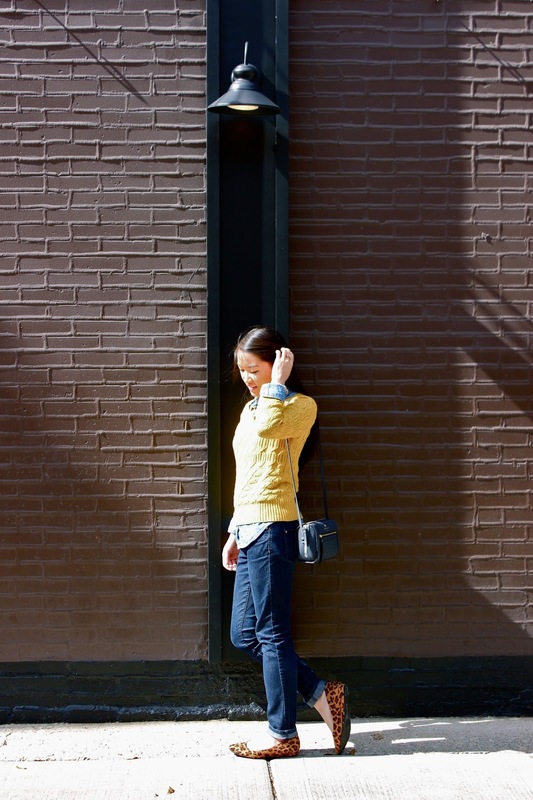 Love the mustard yellow paired with the leopard print! I am completely in love with this outfit. So perfect for fall, and so classic. I'm not the hugest fan of animal print, but I think your shoes go really well with the rest of the look. I bought a bunch of sweaters last year and did not have a chance to wear any of them since we did not have any cold weather so this fall, I am all set. 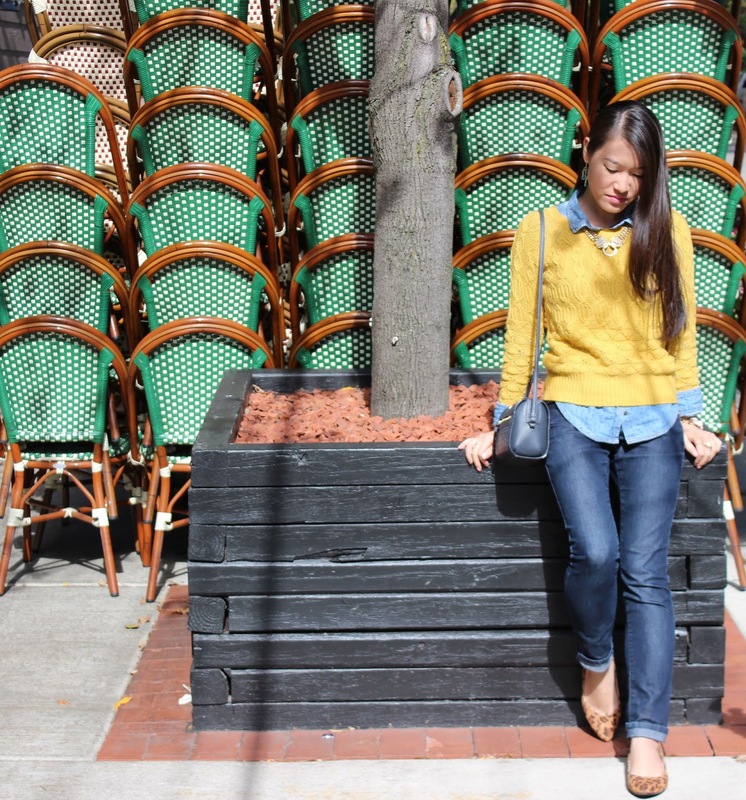 Love the color of this sweater paired with the great leopard flats. I am always so thankful for sweater weather! I love those leopard flats - so cute! And it's getting pretty chilly up in the North East where I am, so I'll be layering up with my sweaters too! Have a great weekend! 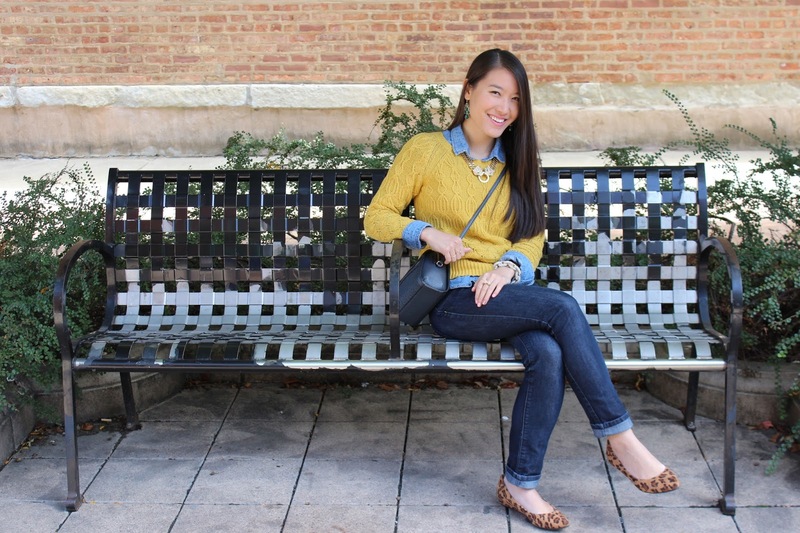 Love the pop of color with the sweater and the leopard flats! Cute outfit indeed. Great sweater. 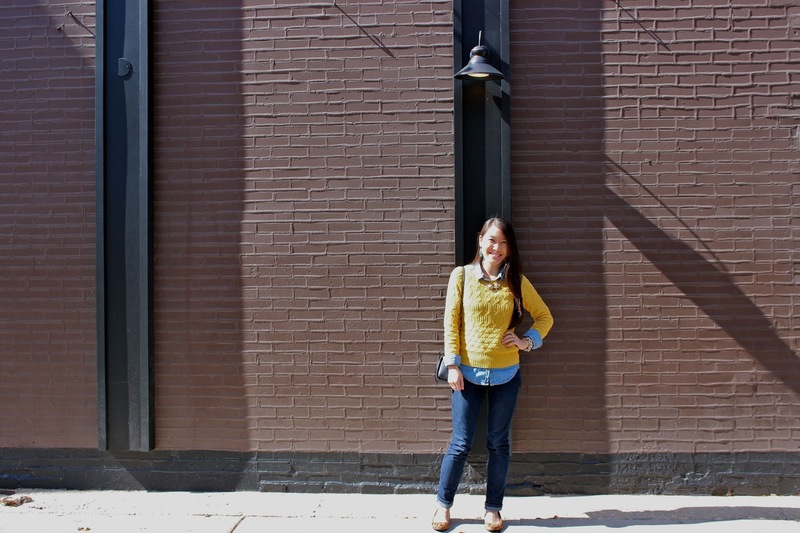 Loving the mustard color sweater and i really love those leopard flats. So fabulous! Love the layering! Totally digging this look. The sweater and leopard flats are fab!